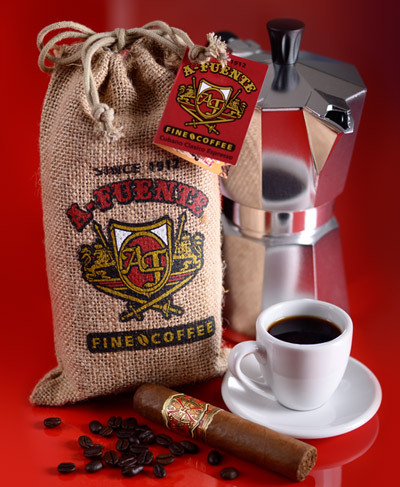 Arturo Fuente® has been blending the finest cigars since 1912. As you would expect, a blend of the best Robusta and Arabica beans would only be appropriate for this dark roast, hand-crafted espresso. Lovers of the full-flavored Fuente Fuente OpusX® will appreciate the bold full-bodied flavor of this fine indulgence. 10 oz. Ground (283 grams) in a special inner foil bag with freshness valve presented in a special collectible burlap bag.